My homage to that beautiful times in early 60s when women's figures were still voluptuous, but their manners were already rotten. Click on the image to see this illustration in better resolution. so fun! love the retro look! Wonderful illo Julia. Have a nice weekend! Ha ha! Love this! 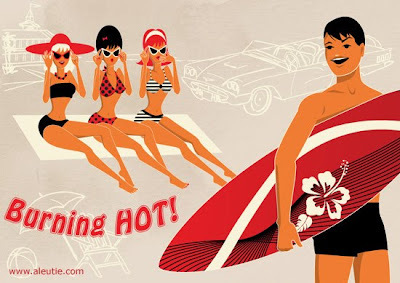 Retro is sooooo cool...I mean HOT! Nice retro look. Great job! I really like you´re illustration! You´ve really got a modern feel to a 50´s style. Ha, great illo, you changed up your blog, I like it.